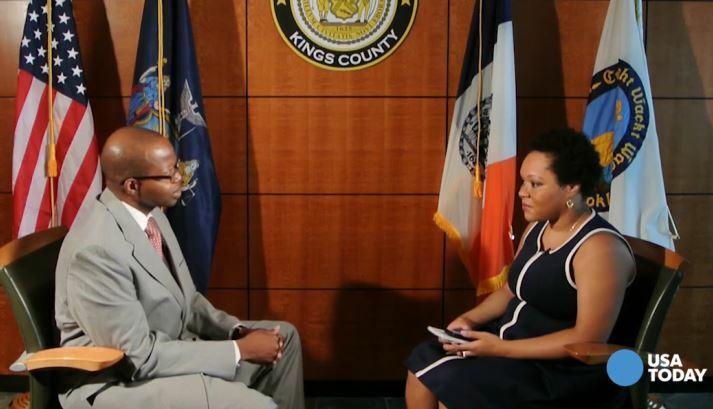 CUNY-TV’s CityWide hosted by Ken Fisher interviews DA Thompson about his Crime Strategies Unit, Conviction Review Unit and other cases. 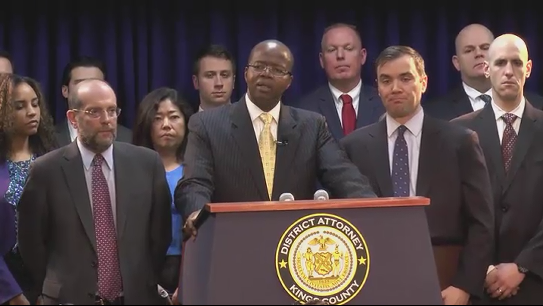 DA Ken Thompson Announces 23 Defendants Including Doctors Charged in $7M Medicaid Fraud. 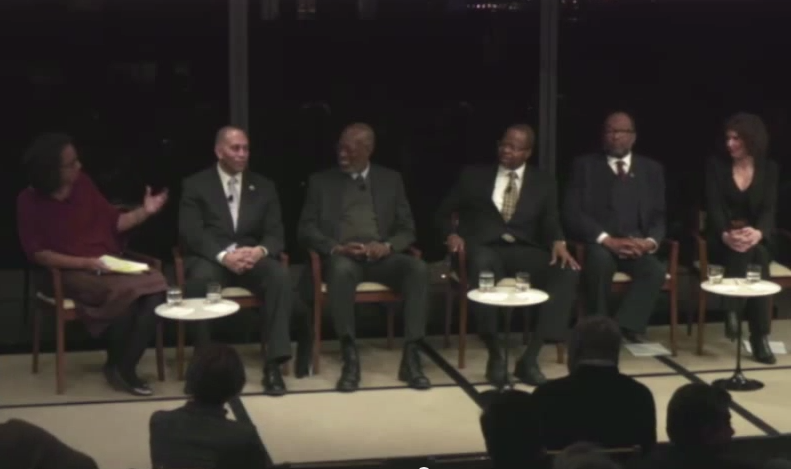 On Monday, February 23, 2015, DA Thompson along with Congressman Hakeem Jeffries, Rev. Dr. Harold Trulear, and Dr. Richard Dudley participated in a panel titled “Young Men of Color and the Other Side of Harm” sponsored by the Ford Foundation and the Vera Institute of Justice. 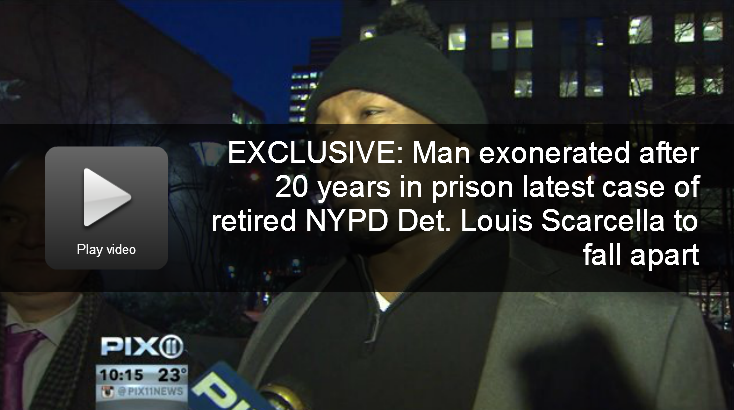 On Thursday, January 29, 2015, WPIX-11’s Mario Diaz exclusively interviewed Michael Waithe moments before Judge Neil Firetog granted a motion to exonerate a burglary conviction that put him at risk for deportation. 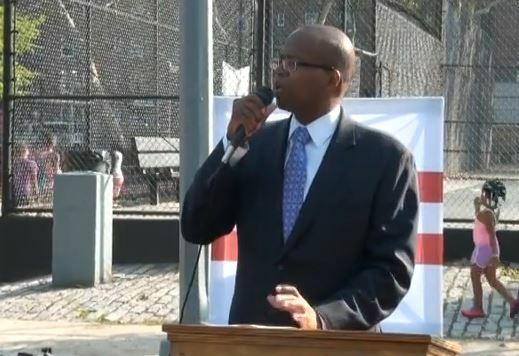 DA Ken Thompson Celebrates Dr. Martin Luther King Jr. Day Tributes. 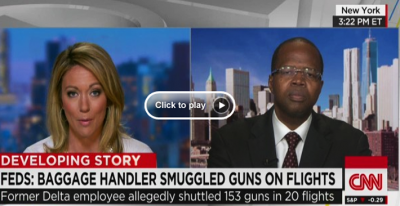 DA Ken Thompson speaks with CNN’s Brooke Baldwin about former Delta Airline employee allegedly smuggling guns on flights. 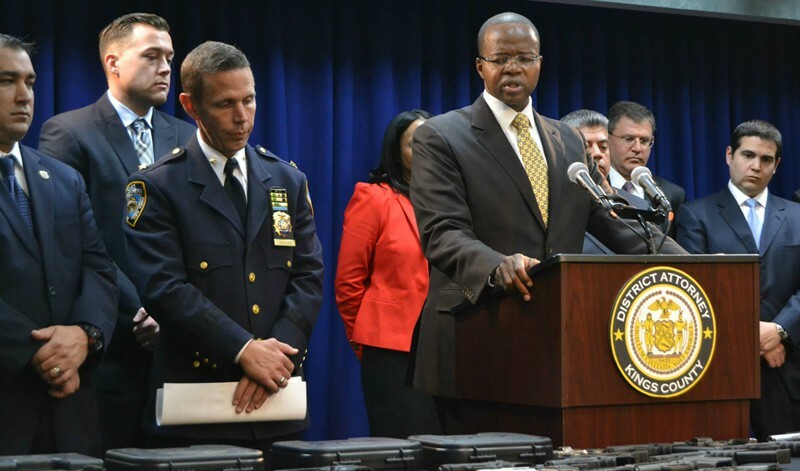 Former Delta Airlines employee and alleged Brooklyn gun trafficker allegedly carried guns and ammo, including assault weapons, on many Delta Airlines flights, investigation reveals; 153 weapons recovered. 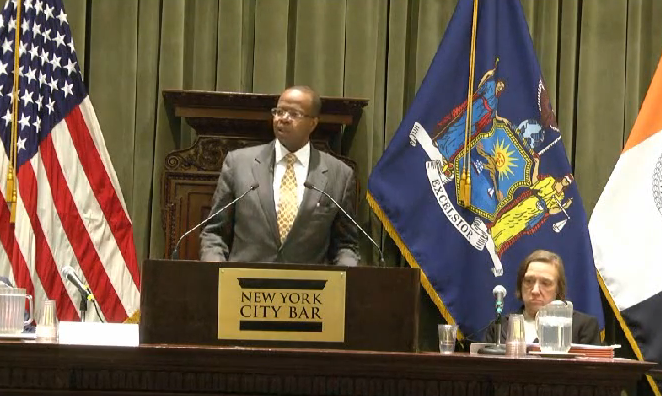 DA Ken Thompson addresses the New York City Bar Association on wrongful convictions. CBS2 Exclusive: Man beaten with sticks in alleged hate crime following Brooklyn fender bender. 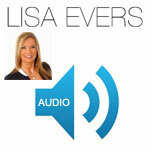 Street Soldiers – New Marijuana Laws. 32 defendants, including reputed members of ‘Gates Avenue Mafia,’ charged with conspiracy following complaints of violence, drugs. 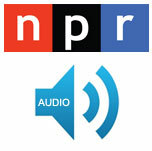 DA Ken Thompson on Saturday, October 18, 2014 episode of NPR Weekend with Scott Simon discussing David McCallum’s and Willie Stuckey’s exonerations. 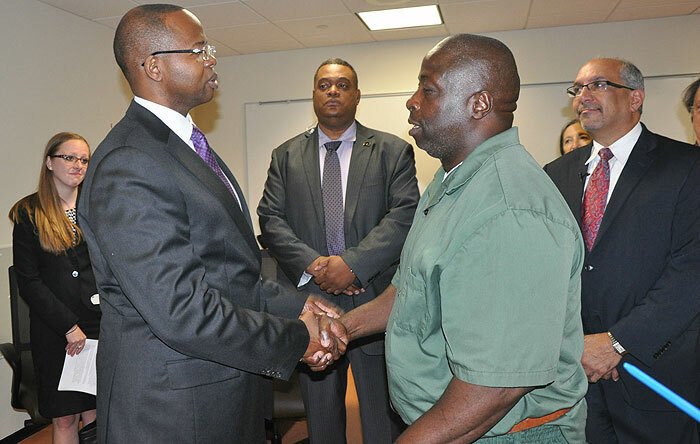 Brooklyn District Attorney Ken Thompson announces he will move to vacate conviction of David McCallum who has been wrongfully imprisoned for nearly 30 years. 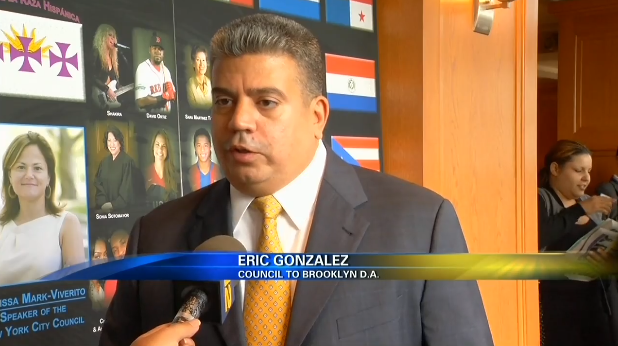 Brooklyn District Attorney Ken Thompson today announced appointment of Assistant District Attorney Eric Gonzalez, as his Chief Assistant District Attorney during his office’s inaugural celebration of National Hispanic Heritage Month. 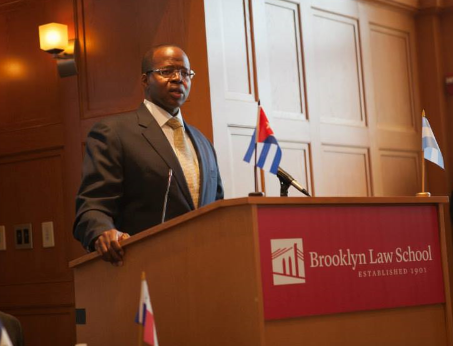 Brooklyn District Attorney Ken Thompson celebrates National Hispanic Heritage Month on Thursday, October 9, 2014. 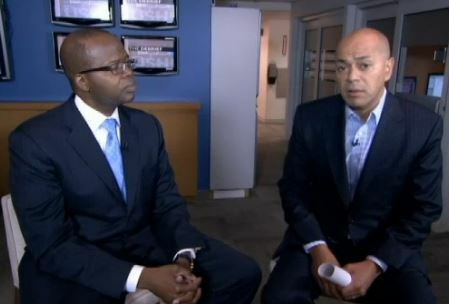 DA Thompson interviewed by CNN’s Miguel Marquez about the recent indictment of Brooklyn Tech High School teacher Sean Shaynak, accused of sexually abusing several students. 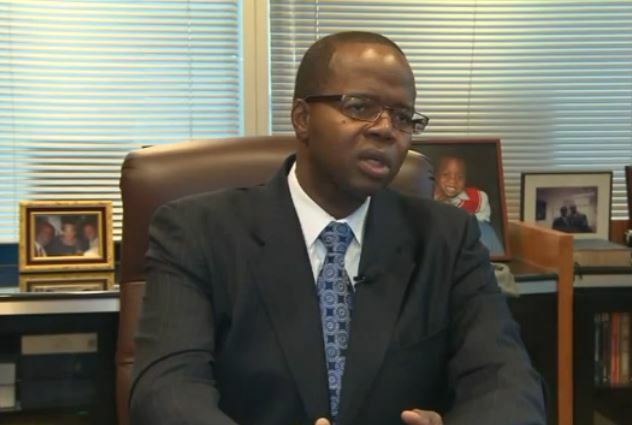 DA Ken Thompson interviewed by WPIX’s Ayana Harry to discuss a Brooklyn Tech High School teacher’s recent indictment. DA Thompson’s remarks at the Dept. 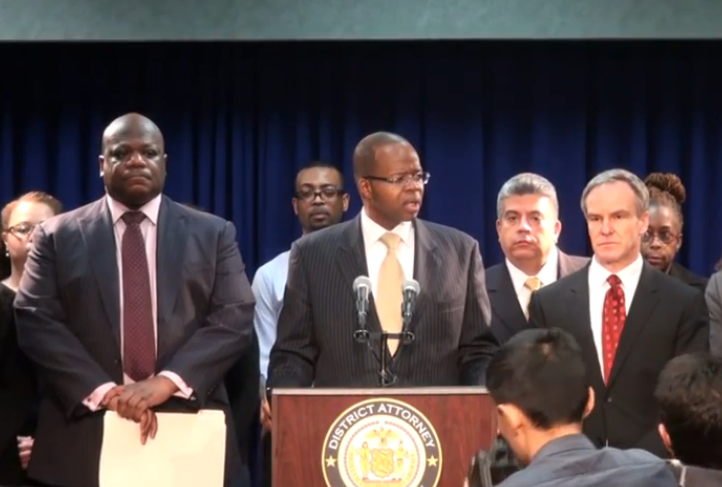 of Investigations press conference on Friday, September 12, 2014. 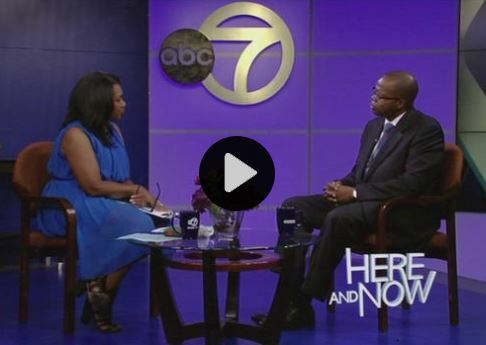 DA Ken Thompson sat down with WABC’s Sandra Bookman for an interview on “Here and Now,” which aired on Sunday, September 7, 2014. On Tuesday August 5, 2014 Brooklyn DA Kenneth Thompson and several members of his office visited residents of Red Hook, Fort Greene, Brownsville and Canarsie. 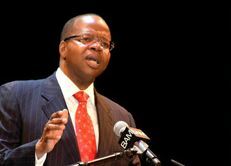 DA Ken Thompson sat down with USA Today’s Yamiche Alcindor to discuss his efforts with numerous wrongful conviction claims and his Conviction Review Unit. 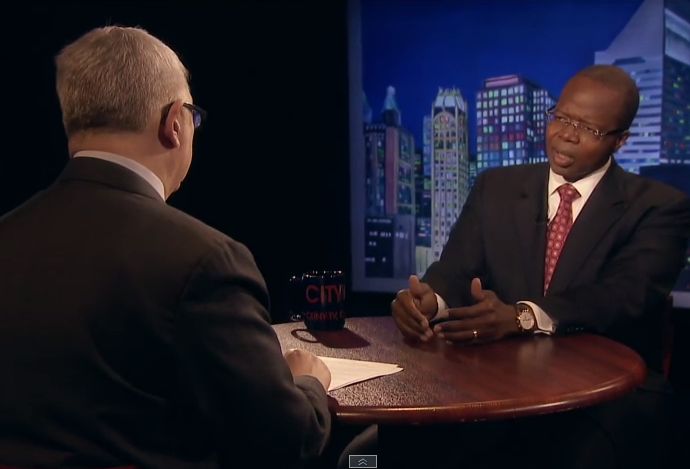 Brooklyn DA Thompson sat down for the July 20, 2014 episode of “The Debrief with David Ushery” on WNBC. 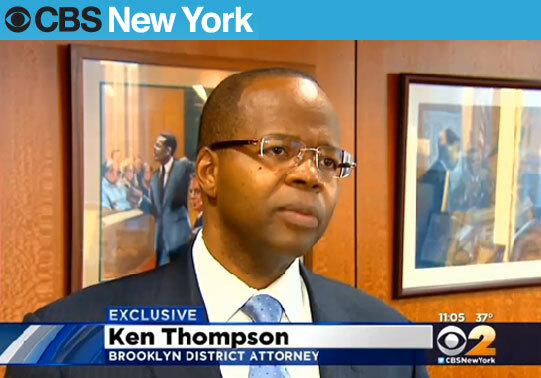 Brooklyn DA Thompson Talks Violence, Controversial Decisions With CBS 2 – July 18, 2014 interview with WCBS-TV’s Tony Aiello. 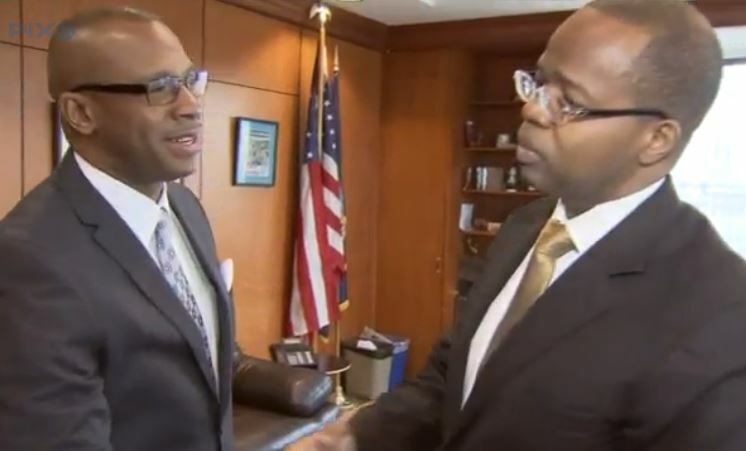 Brooklyn District Attorney Kenneth P. Thompson sits down with WPIX’s News Up Close with Marvin Scott this morning to discuss the low-level marijuana policy and other topics. 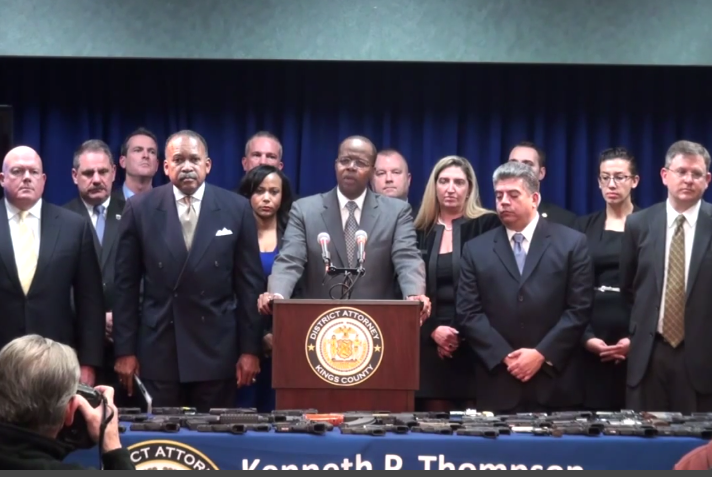 7-13-14 episode of Street Soldiers with Lisa Evers where Brooklyn District Attorney Kenneth P. Thompson called in to discuss “The Summer Surge in Shootings”. DA Thompson comes in about minute 43.